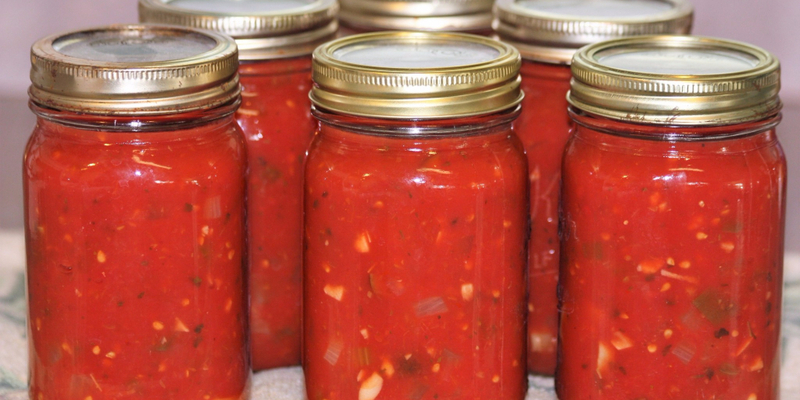 Summer is winding down and tomato canning season is underway. 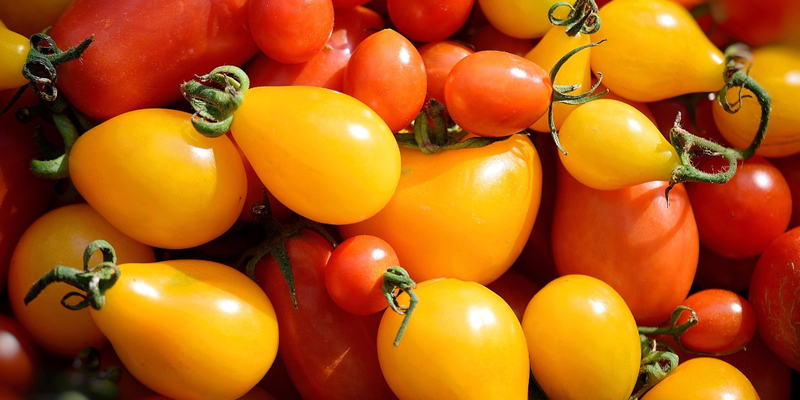 Tomatoes are a fairly easy fruit to grow. You can grow them directly in the ground or in containers. My parents used to grow several different kinds. Picturing my mom in her “Daisy May” gardening attire as she eats the first ripe tomato of the season will be forever framed in my mind. She leans over the kitchen sink with a tomato in one hand and a salt shaker in the other. The juice she doesn’t catch from slurping as she takes a bite runs down her arm. The satisfied, eyes glazed over look on her face as the taste of summer fills her. As I ate my tomato sandwich today, I marveled at the taste. Each bite is a hallelujah chorus. I’ve noticed that people have different ways of making a tomato sandwich. Some insist on white bread. Some insist on “Kraft Miracle Whip” slathered on each inside slice of bread before layering one side with tomato and then putting the two sides together. Some people add to the glory with a slice of ham or adorn with cheese, although, I think for the first go round, one should stick only with the basic tomato. Fancy can come later. The tricky part eating this sandwich is the sliding of the tomato as you take a bite. Those slippery slices have more than once misbehaved and landed on my plate. However you eat them, don’t forget to add at least a bit of salt. I use Himalayan salt because it has more than 80 trace minerals and no chlorine bleaching. 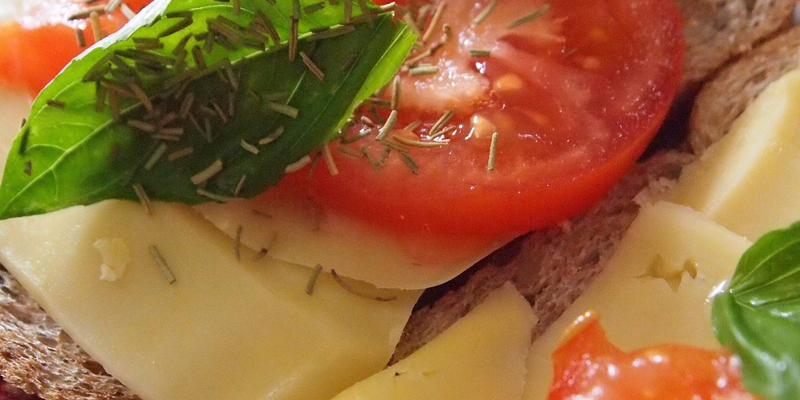 With my sandwich firmly camped between my two hands, I thought of the seasonal life of the tomato. I spent summer anxiously awaiting the first tomato to ripen that I can eat it directly off the vine. Next, I move to the tomato sandwich. At the point when there are enough to be made into sandwiches, they begin to ripen off quickly, and the annual canning ritual begins. I never turn down tomatoes whether they are ripened or not. I make them into juice, sauce, pickles, mincemeat, and jams. I tried freezing ripe ones, but I prefer canning to retain the taste of summer. I start the tomato canning season making a basic sauce. It’s easy and versatile. Except for salt for preserving, I don’t add spices so I can adjust the sauce later depending on how I’m using it. I progress to stewed tomatoes, especially if I’m in a hurry with no time for peeling and processing into a sauce. I add diced onions, peppers and garlic. I have never had the patience to make tomato paste. At this point, I look at what I have for odds and ends. Is there enough of any ripened red or yellow variety to make a particular recipe or put them all together to make a new creation? I’ve made amazing salsa from odds and ends. 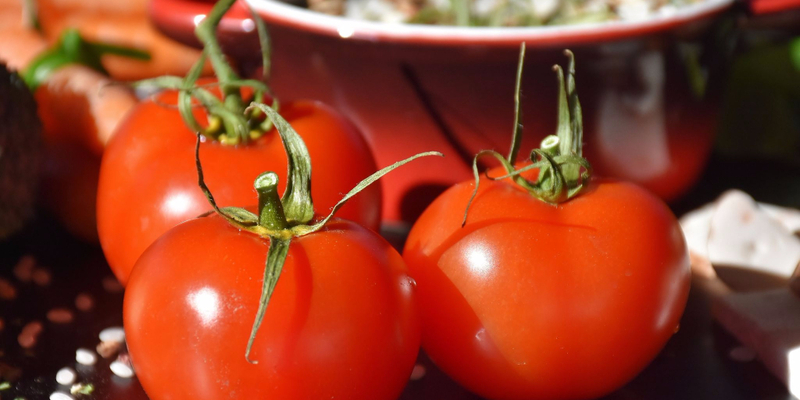 Meatier tomatoes work best, but otherwise, drain off excess juice while cooking. Don’t cook the juice off, because then the end will be a sauce, with no firmness to the tomatoes. Juicier tomatoes with the addition of onions and celery make nourishing tomato juice. Cook down, then force through a fine sieve. Discard solids. Think Italian: “bisogna farsi la mano,” meaning “have the hand” —- start small and learn before you go big. As I looked through mom’s recipe box, I found my grandmother’s recipe for “Gramma’s Chili Sauce” which is an easy recipe with which to begin. 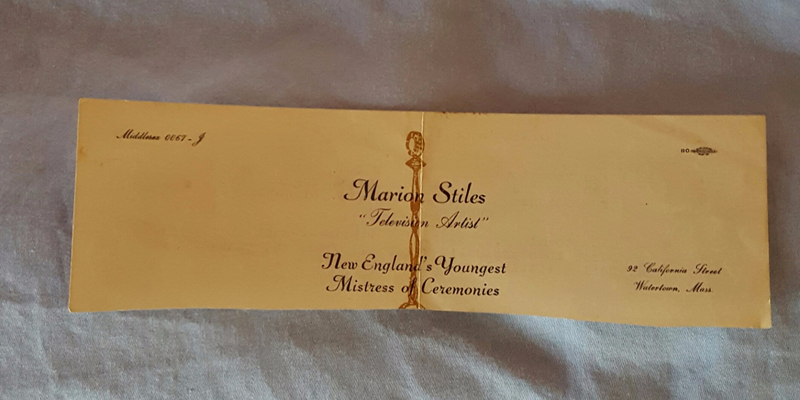 It was typed on the back of my aunt’s letterhead proclaiming “Marion Stiles – Television Artist.” This is why I prefer keeping the originals of passed down recipes. They take me back to my roots. Chop tomatoes, peppers, and onions. Add to a large pot and bring to a boil slowly – about 1 ½ hours. Add salt, sugar, cinnamon, and vinegar. Boil longer to dissolve the sugar. Ladle into canning jars, leaving a ½ inch head space. Remove air bubbles. Wipe rim. Apply lid “fingertip tight.” Process in a boiling water bath for 20 minutes. Remove jars and allow to cool. After 24 hours, check to make sure jars are sealed. The center of the lid should not move up and down when the center is pressed.